Icelandic skin care company, Bioeffect has chosen AGR for their replenishment and planning requirements. The company was founded in 2010 by three scientists who spent ten years developing a method for creating biorisk-free recombinant proteins in plants for use in medical research. 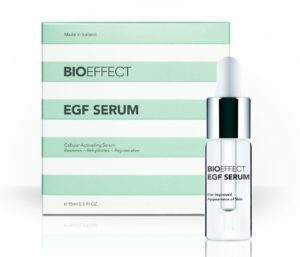 With Bioeffect EGF increased world wide presence, the company has chosen the AGR solution to optimise their inventory and implement an S&OP process to balance supply and demand. “After implementing AGR 5 with similar companies like SpaceNK and Diptyque, we are excited to implement the AGR forecasting and planning platform at Bioeffect and help them reach their supply chain planning objectives,” says Finnur Bragason, Head of Sales and Marketing, AGR Dynamics. Used by over 30 percent of Icelandic women after launching in 2010, Bioeffect offers immensely popular skin care products that continues to astound all customers. The company’s skin care line is not only based on breakthrough scientific research but is also not tested on animals and grown in CO2 negative greenhouses in Iceland.